What should have been shocking, however, was not Lincoln’s lack of religion, but the fact that Matheny should have found it shocking; or, to put it another way, the real surprise in Lincoln’s lack of religious profile was that the rest of the American republic had such an unusually large one. But if this was “probably true,” then its truth demanded a more personal, more lively, more directing, more purposeful and more unpredictable God – a God who ends wars at a word or gives victories in a day – than the mechanical Providence Lincoln had heretofore invoked. Just how personal and unpredictable, showed up in the explanation Lincoln offered for the action he finally decided was the “something different from the purpose of either party,” the Emancipation Proclamation. 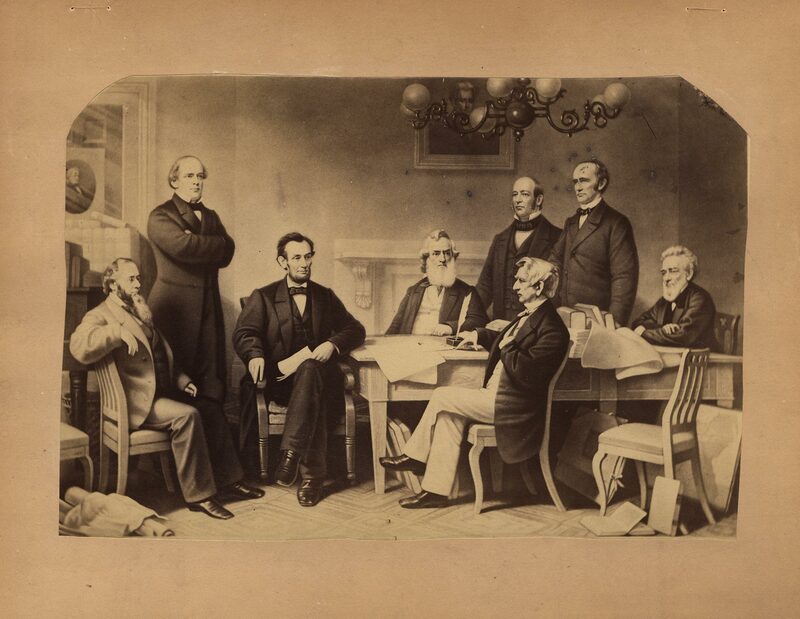 Lincoln drafted a presidential emancipation proclamation as early as June 1862, but did not discuss it in cabinet until July 22nd or issue it until September 22nd, five days after the battle of Antietam, based on the argument made by Secretary of State William Seward that such a proclamation needed to come in the wake of a Union victory if it was not to look like a counsel of desperation. Lincoln agreed to wait, as a matter of political calculation; but his reasoning for the proclamation’s eventual release two months later was like no other decision he had ever reached. It is as unwise to dispute the sincerity of Lincoln’s response as it is to make too much of it. He was, in the end, a child of the Enlightenment, and the Enlightenment’s limited allowance for religion described the boundaries he accepted for it, personally and otherwise. But he was also too curious a mind to allow those boundaries to remain fixed forever, and too attuned to the shifts in American culture to remain utterly indifferent to them. As in so many other respects, he remains a mystery in American religion, but a tantalizing one – like Melville, neither a true believer, nor content in his unbelief. Allen Guelzo is the Henry R. Luce III Professor of the Civil War Era at Gettysburg College and the William L. Garwood Visiting Professor for the James Madison Program in American Ideals and Institutions at Princeton University (2017-18). “To Mary S. Owens” (May 7, 1837), in Collected Works of Abraham Lincoln (hereinafter CW), ed. Roy P. Basler (New Brunswick, NJ, 1953), 1:78. Herndon interview with Sarah Lincoln (September 8, 1865), John Hill to Herndon (June 27, 1865), Hardin Bale to Herndon (May 29, 1865), and Herndon interview with James Matheny (March 2, 1870), in Herndon’s Informants: Letters, Interviews, and Statements about Abraham Lincoln, eds. Rodney O. Davis & Douglas L. Wilson (Urbana, 1997), 13, 62, 106-07, 576. Patricia U. Bonomi, Under the Cope of Heaven: Religion, Society, and Politics in Colonial America (New York, 1986), 3-6; Richard Bushman, ed., The Great Awakening: Documents on the Revival of Religion, 1740-1745 (New York, 1970), xi. Mark David Hall, Roger Sherman and the Creation of the American Republic (New York, 2013), 62; Peter Thatcher, Observations Upon the Present State of the Clergy of New-England: With Strictures Upon the Power of Dismissing Them, Usurped by Some Churches (Boston, 1783), 4. Charles Beecher, Autobiography, Correspondence, Etc., of Lyman Beecher (New York, 1864), 1:43. Richard Vetterli and Gary C. Bryner, In Search of the Republic: Public Virtue and the Roots of American Government (Lanham, MD, 1996), 77. “To Samuel Kercheval” (January 19, 1810), “To William Short, with a Syllabus” (October 31, 1819), “To John Adams” (August 15, 1820), and “To Thomas Cooper” (November 2, 1822) in Thomas Jefferson: Writings, ed. 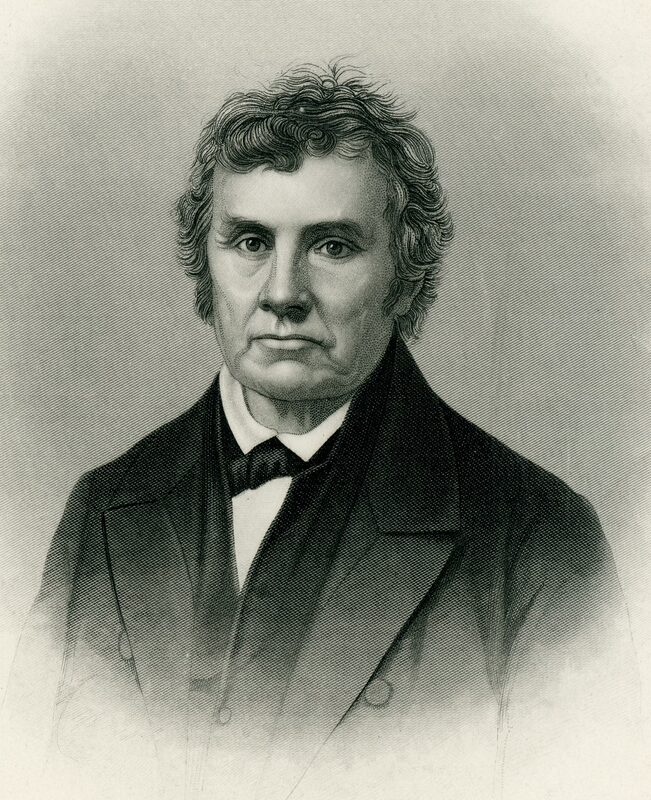 Merrill D. Peterson (New York, 1984), 1213-14, 1430, 1433, 1443, 1464; Jefferson to Dr. Benjamin Waterhouse (June 26, 1822), in The Writings of Thomas Jefferson, ed. H.A. Washington (1854; Cambridge University press, 2011), 7:252-3. Jon Butler, Awash in a Sea of Faith: Christianizing the American People (Cambridge, MA, 1990), 270; Kathryn Long, The Revival of 1857-58: Interpreting an American Religious Awakening (New York, 1998), 150; Carwardine, Evangelicals and Politics in Antebellum America (New Haven, 1993), 3-18. Herndon interview with David Davis (September 20, 1866) and James Matheny (March 2, 1870), in Herndon’s Informants, 348, 576. “To Martin S. Morris” (March 26, 1843) and “Handbill Replying to Charges of Infidelity” (July 31, 1846), in CW, 1:320, 382. Parthena Hill, interview with Walter B. Stevens, in Stevens, A Reporter’s Lincoln, ed. Michael Burlingame (Lincoln, NE, 1998), 12; “To John D. Johnston” (January 12, 1851), in CW 2:97. Ninian Edwards, in James A. Reed, “The Later Life and Religious Sentiments of Abraham Lincoln,” Century Magazine 6 (July 1873), 338-339. Keyes, in Herndon & Jesse W. Weik, Herndon’s Lincoln, eds. Douglas L. Wilson & Rodney O. Davis (Urbana, 2006), 267; Ervin Chapman, Latest Light on Abraham Lincoln, and War-time Memories (New York, 1917), 506; “Temperance Address” (February 22, 1842) and “Speech at Hartford, Connecticut” (March 5, 1860), in CW, 1:274, 4:9; John B. Alley, in Reminiscences of Abraham Lincoln by Distinguished Men of His Time, ed. Allen T. Rice (New York, 1886), 591. Swett to Herndon (January 17, 1866), in Herndon’s Informants, 167; G.W. Pendleton, in An Oral History of Abraham Lincoln: John G. Nicolay’s Interviews and Essays, ed. Michael Burlingame (Carbondale, IL, 1996), 155. Herndon, “To the Editor of The Truth Seeker” (December 4, 1882), in Herndon on Lincoln, 144; “Temperance Address” (February 22, 1842), in CW,1:272. Herndon to Truman Bartlett (August 16, 1887) and to Jesse W. Weik, in Herndon on Lincoln, 255, 259; “Conversation with O.H. Browning” (June 17, 1875), in An Oral History of Abraham Lincoln, 6; Max Ehrman, “Lincoln’s Visit to Terre Haute,” Indiana Magazine of History 32 (March 1936), 59-60. “To Mary Todd Lincoln” (June 9, 1863), in CW, 6:256. On his other dreams, see Henry J. Raymond, The Life of Abraham Lincoln (New York, 1865), 756, and Francis Carpenter, Six Months at the White House with Abraham Lincoln: The Story of a Picture (New York, 1866), 292. Abner Y. Ellis, in Recollected Words of Abraham Lincoln, eds. Don & Virginia Fehrenbacher (Stanford, CA, 1996), 151; Isaac Cogdal (April 10, 1874), in B.F. Irwin, Lincoln’s Religious Belief: Original Reminiscence and Research (Springfield, 1919), 8. Herndon to Joseph Fowler (February 18, 1886), in Herndon on Lincoln: Letters, 209; “To Albert G. Hodges” (April 4, 1864), in CW, 7:282; Gillespie (December 1866), in Herndon’s Informants, 506; Joshua F. Speed, Reminiscences of Abraham Lincoln and Notes of a Visit to California: Two Lectures (Louisville, KY, 1884), 3. Aminda Rankin, in Henry B. Rankin, Personal Recollections of Abraham Lincoln (New York, 1916), 324. “Hawthorne’s Complete Account of Melville in Liverpool and Chester” (November 20, 1856), in The Writings of Herman Melville: Journals, eds. Howard C. Horsford & Lynn Horth (Chicago, 1989), 628. “Farewell Address at Springfield, Illinois” (February 11, 1861), “Speech at Buffalo, New York” (February 16, 1861), and “Remarks at Newark, New Jersey (February 21, 1861), in CW, 4:190, 220, 234. Browning, in An Oral History of Abraham Lincoln, 5, 130; Bayne, Tad Lincoln’s Father (Boston 1931), 183-4. Isaac Cogdal interview with Herndon (1865-66), in Herndon’s Informants, 441. “Reply to Eliza P. Gurney” (October 26, 1862) and “Second Inaugural Address” (March 4, 1865),, in CW, 5:478, 8:332-3; Sunderland, in Reed, “The Later Life and Religious Sentiments of Abraham Lincoln,” 342-3; Browning, in An Oral History of Abraham Lincoln, 5. “Meditation on the Divine Will” in CW, 5:403-4; 8:332-3; see also John Hay, “The Heroic Age in Washington”, in At Lincoln’s Side: John Hay’s Civil War Correspondence and Selected Writings, ed. Michael Burlingame ((Carbondale, IL, 2000), 127. Salmon Chase, diary entry for September 22, in Inside Lincoln’s Cabinet: The Civil War Diaries of Salmon P. Chase, ed. David H. Donald (New York, 1954), 150; Gideon Welles, diary entry for September 22, 1862, in Diary of Gideon Welles, Secretary of the Navy under Lincoln and Johnson, ed. John T. Morse (Boston, 1911), 1:143; William O. Stoddard, Inside the White House in War Times: Memoirs and Reports of Lincoln’s Secretary, ed. Michael Burlingame (Lincoln, NE, 2000), 95. Francis B. Carpenter, Six Months at the White House with Abraham Lincoln: The Story of a Picture (New York, 1867), 90; Welles, diary entry for September 22, 1862, in Diary, 1:143; Welles, “The History of Emancipation,” in Civil War and Reconstruction: Selected Essays by Gideon Welles, ed. Albert Mordell (New York, 1959), 248. Herndon, “To the Editor of The Liberal Age” (December 4, 1882), in Herndon on Lincoln: Letters, 137. Stuart, in An Oral History of Abraham Lincoln, 15; Brooks, in Reed, “The Later Life and Religious Sentiments of Abraham Lincoln,” 340, and “How the President Took the News” (November 11, 1864) and “Personal Recollections of Abraham Lincoln” in Lincoln Observed: Civil War Dispatches of Noah Brooks, ed. Michael Burlingame (Baltimore, 1998), 145, 219. Lincoln, “Second Inaugural Address” (March 4, 1865) and “To Thurlow Weed” (March 15, 1865), in CW, 8:332, 356. Hay, diary entry for January 13, 1864, in Inside Lincoln’s White House: The Complete Civil War Diary of John Hay, eds. Michael Burlingame & J.R.T. Ettlinger (Carbondale, IL, 1997), 142; Nicolay to Herndon (May 27, 1865), in Herndon’s Informants, 6. 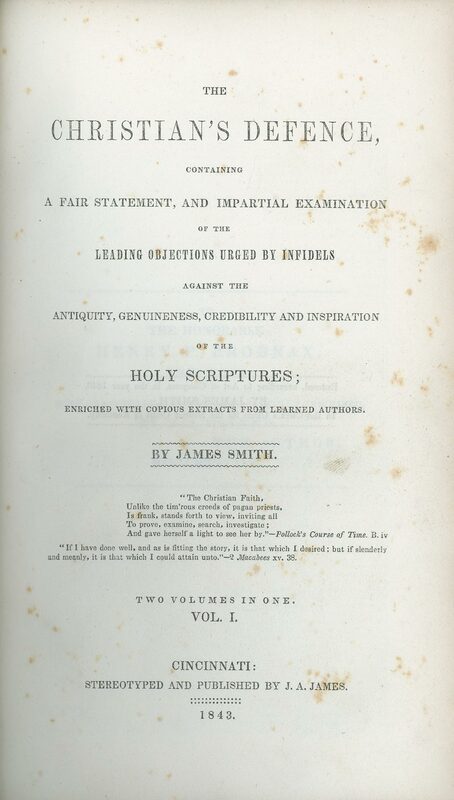 “Remarks to Baltimore Presbyterian Synod” (October 24, 1863), “To George B. Ide, James R. Doolittle, and A. Hubbell” (May 30, 1864), and “Reply to Loyal Colored People of Baltimore upon Presentation of a Bible” (September 7, 1864), in CW, 6:535, 7:368, 542.